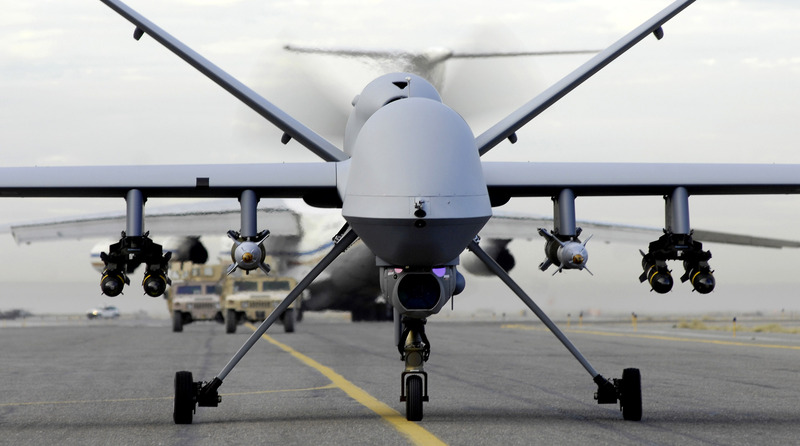 The Institute for Conflict, Cooperation and Security (ICCS) has developed extensive expertise in the area of drone policy in the United Kingdom, focusing on military and civilian uses of the technology, strategy and operability, ethics and legality, proliferation and regulation, and the future of Lethal Autonomous Weapons Systems. The ICCS has recently led two high profile projects in this area. This research project investigated in a comparative context how conflicting perceptions of the use of drones shapes the propensities for conflict and cooperation both within the territory of the penetrated state and between the intervening state and the state in which the drones are operating. The project has examined the use of drones in Pakistan, Yemen and Afghanistan. The Policy Commission examined the implications of drone technology, both civil and military, in a British security context. The Commission brought together leading academics from the Institute for Conflict, Cooperation and Security at the University of Birmingham with NGO experts and distinguished former public servants. It was chaired by Sir David Omand, former UK Security and Intelligence Coordinator and a former Permanent Secretary of the Home Office and Director of GCHQ. The Policy Commission Report was launched at the Royal United Services Institute on 22 October 2014 to an audience of MPs, journalists, academics, think-tanks, policymakers and aerospace industry representatives. In October 2014, Professor Nicholas Wheeler, Professor David Dunn and Professor Stefan Wolff gave a briefing in Brussels on the strategic, legal, ethical, and regulatory dimensions of the UK’s use of Remotely Piloted Aircraft (RPA) to a number of high level representatives from NATO, the European Parliament, the International Crisis Group, Airbus, BAE systems and Finmeccanica. A copy of the presentation can be found here. On 9th March 2015, Professor David Dunn and Dr Peter Gray visited BAE Systems Group in Farnborough to discuss the findings of the Policy Commission report. In April 2015, Professor David Dunn presented his analysis of the transatlantic drone debate to an audience of experts on drone warfare from government, the military, academia, industry, and the legal profession from the United States and Europe in Washington D.C. Further details of the conference organised by the Stimson Center and the Heinrich Boell Foundation can be found here. Professor Nicholas Wheeler attended the third meeting of the Drone Communications Cross-Industry Working Group held on 20 May 2015. UoB is currently the only university involved in this group, which also has representations from Airbus, Lockheed Martin, Finmeccanica, Thales, BAE, MoD, Qinetiq, ADS and Boeing. On 29th May, Dr Peter Gray gave a presentation at the Hay Festival on the history of technological innovation in airpower including the development of drones, chaired by Con Coughlin, Defence Editor of The Telegraph. The research team on the ‘Political Effects of UAVs’ project presented their interim findings at a day-long conference at the Royal Aeronautical Society on Friday 12th June attended by academics, policymakers, members of parliament and journalists. On 16th June 2015, a delegation from the ICCS, including Professor Nicholas Wheeler, Professor David Dunn and Dr Talat Farooq (Honorary Research Fellow) presented findings from ‘The Political Effects of UAVs’ to the All-Party Parliamentary Group on Drones (APPG) in Westminster. The APPG meeting, the first of the new parliament, was chaired by Baroness Stern. Further details can be found here. The Policy Commission report featured on ITV News Online, The Guardian, BBC News Online, Daily Mail Online, The Independent, The Telegraph, The Press Association, The Sun, The Daily Mirror, The Birmingham Post and BBC Radio 4. Professor David H Dunn and Sir David Omand discussed the report on the Jeremy Vine Show on BBC Radio 2 on Wednesday 19 November, to an audience of over 7m listeners. Professor Nicholas Wheeler was interviewed on BBC Radio Essex about the possible use of drones in everyday life and recorded a podcast with the Bureau of Investigative Journalism on the findings of the Policy Commission report. Professor David Dunn was interviewed by BBC News Online for an article about drones. Professor Dunn stated that the government need to consider licencing drones after an American woman was injured when a drone fell on her. He has also written a piece on the creeping autonomy of lethal weapons for the United Nations Association of the UK magazine. A full list of the media coverage of the Policy Commission Report and Political Effect of UAVs project can be found here. Professor Nicholas Wheeler, Professor Stefan Wolff, and Dr Christopher Wyatt submitted written evidence to the Defence Committee Inquiry: “Remote Control: Remotely Piloted Air Systems – current and future UK use”. Part of this written evidence was cited the main report and was also acknowledged in the Government’s response. On 5th November 2014, a letter to Philip Hammond MP calling on the government to consider disclosing the guidance relating the sharing and use of UK intelligence in terms of individuals who are at risk of targeted lethal strikes outside traditional battlefields was co-signed by Sir David Omand. The Policy Commission was referenced in a Parliamentary Early Day Motion tabled on 6th November 2014, which stressed “the need for policy on the use of drones articulating the UK position on application of international human rights and humanitarian law in complex conflicts”. The Policy Commission was quoted in a press release issued by Article 36 on 14 November to coincide with the annual meeting of the UN Convention on Conventional Weapons. The Policy Commission was cited in the tabling of a question for a written answer by the European Parliament regarding steps taken by the High Representative on the issue. On 26 Jan 2015, Lord West of Spithead cited the Policy Commission report for the specific risks it highlighted that “needed to be addressed by legislators such as the use of drones carrying improvised explosive devices” in a debate on Counter-Terrorism and Security Bill in the House of Lords. The Birmingham Policy Commission report was also cited heavily in a recent House of Commons briefing paper, which provided an “overview of military drones used by the UK armed forces”. The Policy Commission was referenced in a Parliamentary Early Day Motion tabled on 18th June 2015, which called on the government to “devise and disclose a distinct and overarching policy on the use of British military drones as part of British defence strategy”. Further details can be found here.